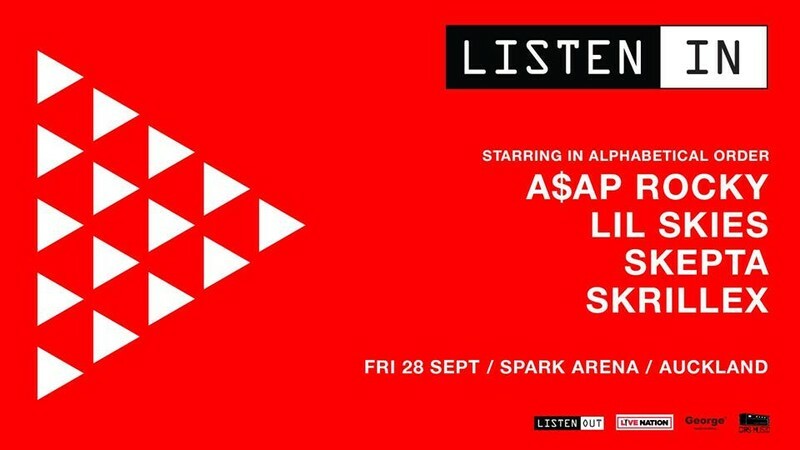 A handpicked line-up of Hip Hop and Electronic music’s biggest acts will take the stage for one night only at Auckland’s Spark Arena, Friday September 28th for Listen In presented by Fuzzy and Live Nation. Listen In is the offshoot of the annual Australian dance and hip-hop festival Listen Out which sold out all its Australian dates across the last two years. Listen Out is well known and respected for their curated line ups spanning the hottest electronic music and Hip hop of the moment and this will be the first time this event has bought its line up to NZ shores.